Theresa May is to give a speech tomorrow in which she will reach out to opposition parties to “come forward” with ideas on how to tackle the challenges the country faces. Andrew Gwynne has slammed the move, saying that it shows the government “has completely run out of ideas”. The Conservatives relied on votes from the strongly socially conservative Northern Irish Unionist party the DUP to get the Queen’s Speech through parliament. May’s appeal for cross-bench unity shows the vulnerable position her government is in. Stella Creasy’s campaign to get NHS abortions in England and Wales extended to Northern Irish women was successful in the face of significant cross-bench support, which for many in Labour illustrated the scope for getting its policies through the Commons. 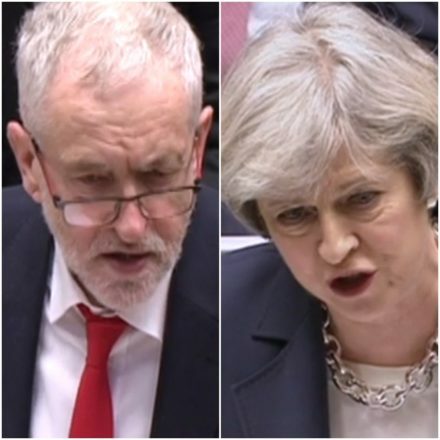 Gwynne, the shadow local government secretary and Labour’s campaign chief alongside Ian Lavery, said that May’s move “is further evidence that this government can no longer run the country”. “Theresa May has finally come clean and accepted the government has completely run out of ideas. As a result they’re having to beg for policy proposals from Labour. “They’re also brazenly borrowing Labour’s campaign slogans. But no one will be fooled – the Tories are the party of the privileged few. “We may not agree on everything, but through debate and discussion – the hallmarks of our parliamentary democracy – ideas can be clarified and improved and a better way forward found. “It is in that spirit that we will take this agenda forward in the months ahead. And this new context presents us as a government with a wider choice. At this critical time in our history, we can either be timid or we can be bold. “We can play it safe or we can strike out with renewed courage and vigour, making the case for our ideas and values and challenging our opponents to contribute, not just criticise.